There was a timely reminder from Lookout Security on Wednesday that not everything on official app stores is legitimate software, after the security firm revealed it found 13 apps containing the Brain Test malware on Google Play. The malware was first spotted by check point back in September using a range of privilege escalation exploits to install a rootkit on victim devices to achieve persistence. Its primary goal is to download and install additional APKs as per the instructions coming from the C&C server, with the ultimate aim of making money for its creator by guaranteeing application installs for eager developers. “There has been an emergence of entities, primarily originating from China, that have been selling guaranteed application-installs to developers,”explained Lockout senior security analyst, Chris Dehghanpoor. Where Brain Test differs, however, is being able to trick Google into allowing it on the official Play store—in some cases obtaining over 500,000 downloads and average ratings of 4.5. “The explanation for the apps’ high ratings and hundreds-of-thousands of downloads is the malware itself. First off, some of the apps are fully-functioning games. Some are highly rated because they are fun to play,” said Dehghanpoor. As such, the malware might be thought of more as a nuisance than a threat to user security or privacy—especially as it will copy files to the /system partition on rooted devices in an effort to ensure persistence even after a factory reset. However, the design of the malware could make it possible for its developers to use compromised devices for “more nefarious purposes” if desired, Lookout claimed. Google removed the offending 13 apps from the Play store promptly once notified by the security vendor. But the incident should serve as another shot across the bows that even official stores aren’t immune from malware, although it is relatively rare these days. Since last summer’s Stagefright vulnerabilities toppled the Android world for a few weeks, researchers inside and out of Google have been taking a close look at not only the maligned media playback engine, but also at Mediaserver where it lives. Today’s release of the monthly Android Nexus Security Bulletin includes patches for another critical vulnerability in Mediaserver, keeping a streak going of consecutive months with serious issues addressed in the software. Flaws in Mediaserver pose serious problems for Android devices because it interacts with a number of applications that can be used to exploit the bug, including MMS and browser media playback features. Versions 5.0, 5.1.1, 6.0 and 6.0.1 are affected, Google said. “During media file and data processing of a specially crafted file, vulnerabilities in mediaserver could allow an attacker to cause memory corru ption and remote code execution as the mediaserver process,” Google said. Google patched five vulnerabilities, including Mediaserver, that it rated critical, two rated high, and five others rated moderate.The remaining critical flaws were all elevation of privilege issues in the misc-sd driver, the Imagination Technologies driver, Trust zone, the Android kernel and in the Bluetooth implementation. 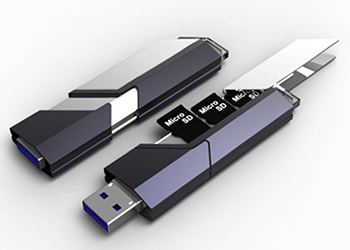 The misc-sd driver and Imagination Technologies driver issues could malicious apps downloaded to the device to execute code at kernel level, and could result in a permanent compromise that would be addressed only by re-flashing the operating system, Google said.The Trustzone vulnerabilities were found in the Widevine QSEE Trustzone application and would allow the compromise of apps with access to the QSEECOM to execute code in the Trustzone context, Google said. A separate elevation of privilege issue was found in the kernel that would also open the door to malicious apps executing code in the kernel. Of the two flaws rated High by Google, the one found in the Android Bluetooth component puts personal information at risk. It, Google said, could allow a device paired over Bluetooth to access personal information such as contacts.The other rated high is an information disclosure vulnerability in the kernel that could allow an attacker to bypass security features in the operating system. 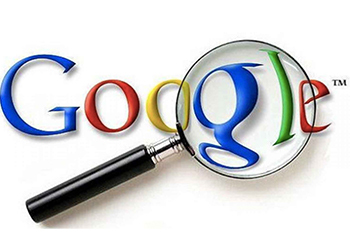 Google added the flaws could be used to gain elevated privileges such as Signature or SignatureOrSystem. The remaining vulnerabilities addressed today were rated moderate and include elevation of privilege flaws in the Android Setup Wizard and Wi-Fi, an information disclosure bug in Bouncy Castle crypto APIs, and a denial-of-service flaw in SyncManager. 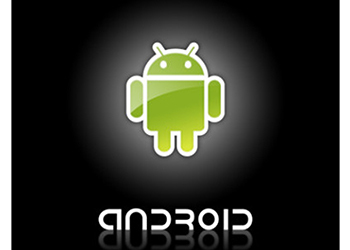 Google also removed SysV IPC from Android because it is not supported in the OS and exposes additional attack surface. A stored cross-site scripting (XSS) vulnerability in Yahoo Mail that affects more than 300 million email accounts globally was patched earlier this month, bagging a $10,000 bug bounty for the researcher who discovered it. The potential ramifications of the flaw are noteworthy: The bug affects all versions of Yahoo’s webmail, the second-largest email service worldwide. The mobile app was not affected. “We provided Yahoo with a proof of concept email that would forward the victim user’s inbox to an external website, and an email virus which infects the Yahoo Mail account and attaches itself to all outgoing emails. The bug was fixed before any known exploits in the wild,” explained Pynnönen. 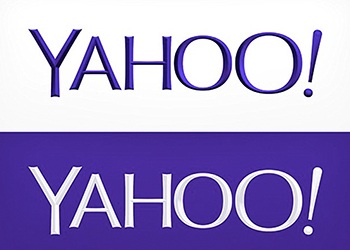 After a much-publicized “T-Shirtgate” over its bug bounty policies, Yahoo started running its program through the well-known platform, HackerOne. HackerOne gave an update on researcher participation recently, saying that over the course of 2015, nearly 600 hackers participated in the HackerOne bounty program, submitting approximately 1,500 reports. From this, it resolved 58 valid security vulnerabilities, and awarded bounties for 38 of them. This translated to rewarding 41 unique hackers a total $41,100, with an average payout of $1,082. 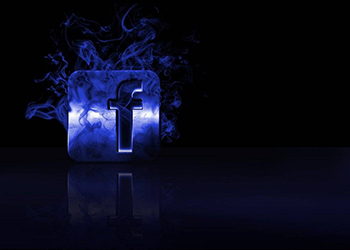 Facebook users should be wary following a spate of malicious ‘Security System Pages’ created by phishers to steal people’s personal data. Not satisfied with merely securing a user’s login details, these offenders are now intent on forcing them to part with far more sensitive information. As reported in a Malwarebytes blog, one such scam misleads people into believing their account has been reported for ‘abuse’ by other users, warning them their page may be disabled. It asks users to provide their email address/phone number, password and date of birth so their account can be “verified” and to help “do more for security and comfort for everyone”. Once this stage of the scam is complete, users are asked to ‘upgrade’ their credit card information, with phishers even so bold as to provide a message at the bottom of the page reading “Your payment info will be stored securely and only you can see it on Facebook”. Although many of these types of scam pages have recently been disabled similar ones are likely to crop up again soon, with phishers fully aware just how effective these techniques are in frightening some users into following the malicious instructions they provide. Therefore, people should be extra vigilant for anything that looks out of the ordinary. 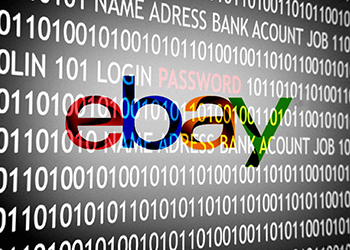 “The eBay attack flow provides cyber-criminals with a very easy way to target users: sending a link to a very attractive product to execute the attack,” said Oded Vanunu, Check Point security research group manager, in a statement.  “The main threat is spreading malware and stealing private information. The skills shortage in IT security is a very real problem, even though companies have become more creative in how they attract talent. 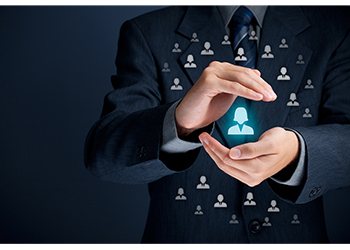 But there’s more to consider: A report from AlienVault argues that retaining the talent once acquired should also be a keen focus for HR departments. But the reality is that the retention concern is common. Only about 65% of participants are happy and content in their current jobs. And even those that say they’re happy admit that the idea of challenging and exciting work would be a motivator to move somewhere else—thus setting up a competitive environment among companies looking to hone their IT security departments. Also, company culture is a big intangible. “Being unhappy with boss or company culture was an underlying theme across the survey,” Malik said. “Yet, several participants, particularly those in larger organizations, felt a distinction should be made between the company culture and team culture. 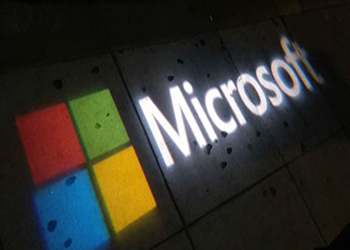 Microsoft has announced the latest version of its standalone Windows client security tool EMET, but admitted that Windows 10 contains several features that provide equivalent or even better protection. Redmond announced its Enhanced Mitigation Experience Toolkit (EMET) 5.5 in a blog post on Tuesday, revealing new features including Windows 10 compatibility, improved configuration of mitigations via the Group Policy Object, and support for untrusted fonts mitigation in Windows 10. The tool is said to be of most use securing “down level systems” and legacy apps, as well as providing “Control Flow Guard (CFG) protection for 3rd party software that may not yet be recompiled using CFG.” According to Microsoft, Windows 10 features which provide as good or better protection than similar in EMET include AppLocker, which prevents the unwanted or unknown apps executing inside the network. Also flagged was Device Guard, which ensures devices only run trusted apps, and can be combined with AppLocker to control which apps from trusted publishers should be allowed to run. Finally, there’s exploit mitigation feature Control Flow Guard, which will shut down a program if it tries to make an indirect call to an unsafe location. Microsoft added that EMET 5.5 security protections don’t apply to Edge because the new browser is already bristling with advanced security including sandboxing, compiler and memory management features. 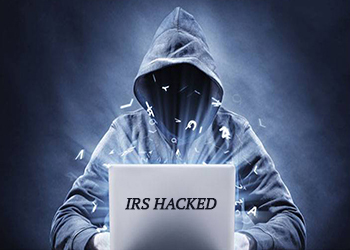 The US Internal Revenue Service (IRS) has been hacked—again. The tax collection agency was the target of a malware attack, it said, that allowed the perpetrators to access the electronic tax-return credentials for 101,000 social security numbers. The IRS said that using personal data stolen elsewhere outside the IRS, identity thieves used an automated botnet in an attempt to generate E-file PINs for about 464,000 unique stolen social security numbers. Only just about a quarter were used to successfully access an E-file PIN. An E-file PIN is used in some instances to electronically file a tax return. “While of great concern, this latest report of a cyber intrusion involving the IRS is not surprising in light of the vast inventory of PII (in particular Social Security numbers) in the hands of hackers as a result of countless breaches in the past few years,” said Adam Levin, chairman and founder of IDT. No personal taxpayer data was compromised or disclosed, the IRS said. The IRS faced a high-profile hack last year as well. Cyber-fraudsters in that instance also used data harvested from a source outside the IRS—and went on to pass verification checks needed to access the “Get Transcript” system. This allowed them to be reissued filings and tax returns for previous years on behalf of legit taxpayers—information which could be used to file fraudulent returns early ahead of the 2016 tax year and claim refunds back from the IRS. Originally the IRS said that 114,000 attempts to clear the Get Transcript authentication process were successful and a further 110,000 attempts failed. But a review months later estimated that an additional 220,000 attempts were made where individuals with taxpayer-specific sensitive data cleared the Get Transcript verification process. The review also identified an additional 170,000 suspected attempts that failed to clear the authentication processes. Anonymous is at the hacktivist game again, this time targeting South African government as part of its #OpAfrica initiative.The group hacked a database within the Government Communications and Information Systems (GCIS) department, leaking names, phone numbers, email addresses and hashed passwords of more than 1,000 government employees.The hackers gained access to an old GCIS portal that hadn’t been updated; South Africa said that the vulnerability has been tracked down and closed. Operation Africa is “a disassembly of corporations and governments that enable and perpetuate corruption on the African continent.” Anonymous said that in particular, the focus is on the issues of child labor and Internet censorship on the continent. “We are fighting alongside other operations such as OpNigeria and AnonymousSA to help free the continent from the plague of exploitation that has been occurring for centuries,” it said. 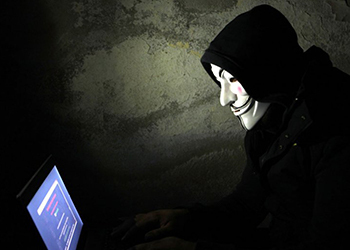 South African developer Evan Knowles said that government employees made it fairly easy for Anonymous to carry out its work, because those hashed passwords are hardly secure. He said that all of the 1,471 passwords from the GCIS data that Anonymous dumped were hashed using the MD5 function without salt. And, that it was trivial to crack 1,116 of them anyway. “All in all, in the collection of 1116 passwords, there were only 549 unique passwords,” he said. “This included nine passwords which were only one letter long, and 53.1% of the passwords failed a standard, very basic test (contains at least one number, and a minimum length of 6). 29.8% of the passwords contained the word ‘password’. 628 passwords (42.7%) were already in plain text and did not need to be cracked.” Further, 25.2% of users had passwords that were identical to their first name.